Allan Monga, 19, was born and raised in Zambia, moving to the U.S. in the summer of 2017. He is a junior at Deering High School and hopes to pursue a career as an actor after graduation. He loves to read and memorize poems. Although he’s only been in the U.S. for a little more than a year, he became the State of Maine Poetry Out Loud Champion making his way to the national competition in Washington, D.C. 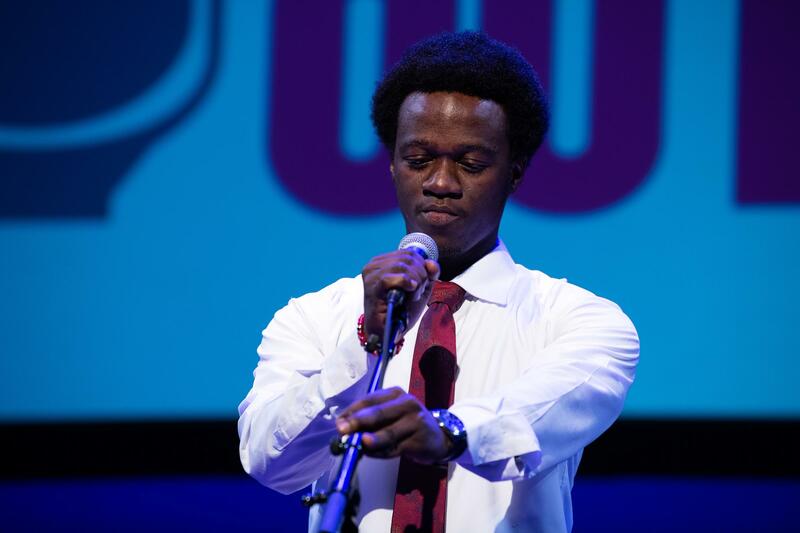 Almost banned from competing, Allan managed to successfully sue the National Endowment for the Arts to win the right to recite poetry in a national contest despite his immigration status. Allan is a strong advocate for immigrants at his school and all over Portland.